Thursday’s Blog is always blue, right? Well mostly! 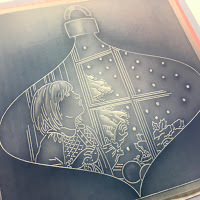 Paul and I have spent a lovely day together, prepping the Christmas launch on Jayne’s beautiful childrens’ stamps and Groovi Plates. Jayne LOVED Christmas. It was her favourite time of year. In fact, I’m pretty certain she hung on last Christmas for Christmas. She just wanted to spend one more with her family before she went on ahead…. but which I may not get to, so here it is step by step. I used the No. 1 tool from the Starter Kit on the soft black mat. Not hard; best to practice on scrap first though, just to get the pressure right. 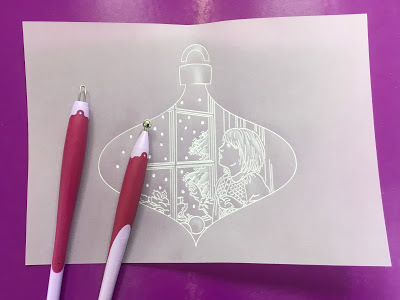 Fill the bauble with one of Jayne’s illustrations. or wishing on a star. 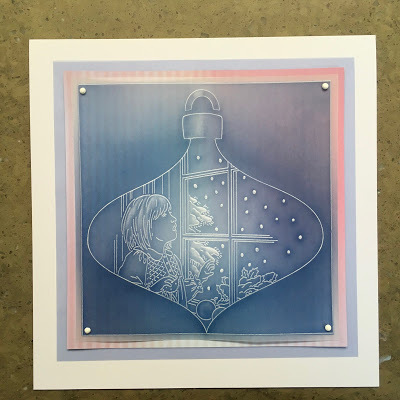 Next switch to an embossing mat. The black one or the Pergamano pink Excellent mat. I have to admit, the pink one is very forgiving. 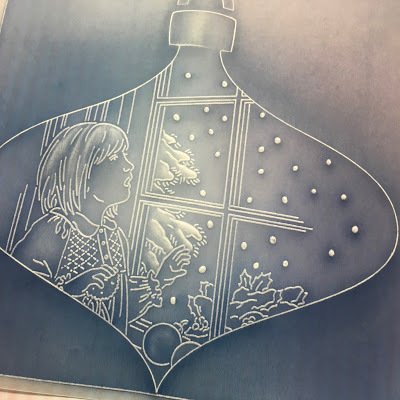 Use your embossing tools for the whitework. I like the shader too, the one that looks like a paper clip. All these tools and gadgets! Working from the back, cover up the centre with the stencil inny. and build up colour around the bauble. 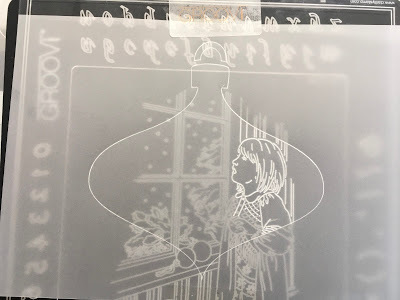 When you remove the stencil, you really see the difference. 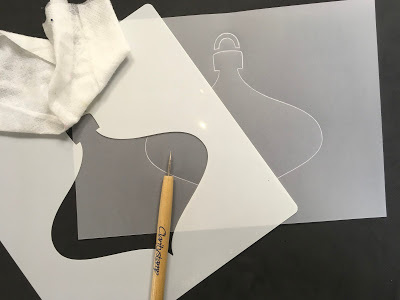 around the bauble and trim the parchment. 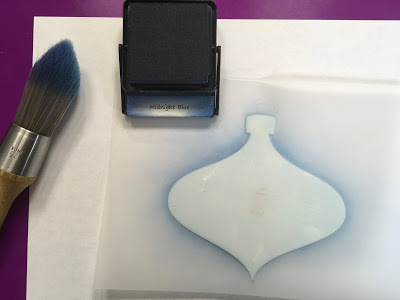 Tape the square down, and reload your brush. 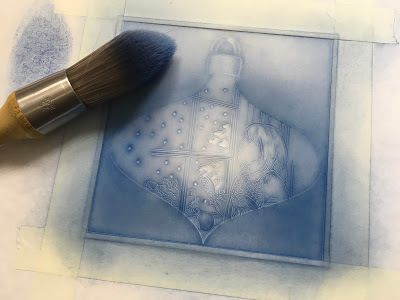 Add a second layer of blue, leaving the parchment light in the centre. Mount on a matching background. it reminded me of old bedroom wallpaper. and trim to mount on white card. The stripey wallpaper justs peeps through the blue. The new Perga Glitters are very, very good. And the 6 colours are exclusive to us. I think Jayne would definitely have added glitter! She loved a bit of bling! I will finish it off on Sunday with glitter if I get time. it’s like she’s back in the building! The demos have come together really easily too. Beautiful as always. The glitters are now on my very long list that I already have for Layburn. Evening Barbara! Didn't Rosie do a great job today! Loved her shows and it was so nice to see Jayne's flowers being revisited. They are such timeless images. And the latest designs landing on Sunday will also stand the test of time….they are utterly stunning! I knew when I saw them they were Jayne's designs. She would have loved to see them in production but sadly that's not to be! However her legacy is that we get pleasure from her artwork as will many many others! Thank you Barbara for bringing them to us! Love your artwork tonight and it has the most ethereal look to it! She may be looking up to the skies thinking about Jayne. Looking forward to the shows on Sunday and Monday. what beautiful artwork from Jayne. Looking forward to the shows on Sunday to see what other lovely goodies there are & the DT samples for inspiration. Really lovely peaceful blog – just dreamy. I needed to see this to stay calm. I have a very sensitive case tomorrow at work and quite agitated. The pessimist in me looking for trouble. The blog has given me calmer thoughts and I think lower blood pressure. 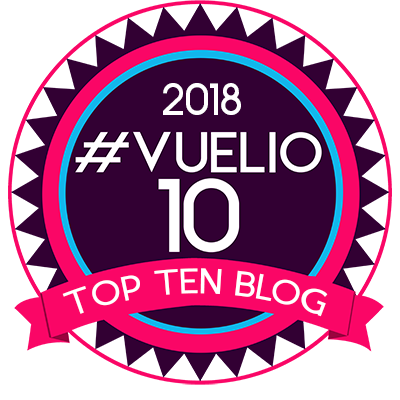 How wonderful to have this blog and all that goes with it. A lovely step by step and I really enjoyed the shows today. 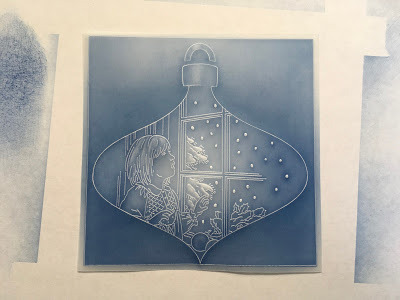 The Groovi was beautiful and it was really nice to have parchment and stamping to look forward to. I have not entered the world of Groovi yet as I know I would not get anything else done if I did but I think it is wonderful. Love it! Looking forward to Sunday and Monday. 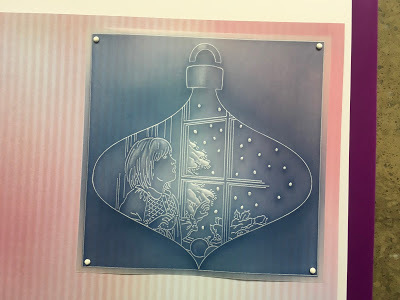 What beautiful artwork today, it's amazing how 3D you make the bauble look. I'm sure Jayne was there with you guiding your hand and giving you both inspiration. Such lovely images, I'm looking forward to seeing what else you have for us. 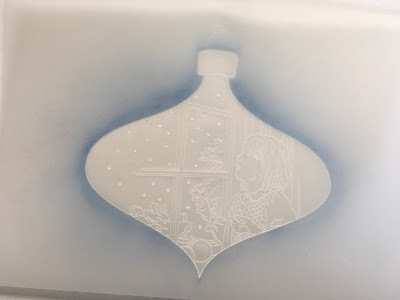 I remember you using the bauble stencil last year and being so impressed with the outcome, I wonder if I bought it and stashed it away, I do that you know 😀.